DIAS Infrared GmbH are pleased to announce that, from the 1st of March 2012, TMS Europe Ltd will be their UK and Eire agent and distributor. 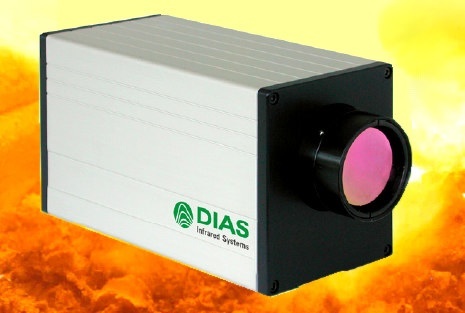 DIAS Infrared’s range of industrial infrared instruments add a new dimension to TMS’s existing range of hand-held infrared thermometers, many of which are available from stock with UKAS calibration. DIAS Infrared GmbH are pleased to announce that, from the 1st of March 2012, TMS Europe Ltd will be their UK and Eire agent and distributor. The agreement, brokered by Dennis Smith (Terrafirma Instruments), formally of Impac Infrared and Land Infrared, brings together the Dresden specialist infrared camera, system and pyrometer manufacturer with the UK’s foremost ISO 17025 UKAS accredited infrared pyrometer calibration laboratory. With many years experience in industrial infrared sales and servicing, TMS will be offering expertise on local system design, supply, installation, repair and calibration, backed by Dennis Smith on a consultancy basis and DIAS Infrared at the centre of the service. DIAS Infrared’s range of industrial infrared instruments add a new dimension to TMS’s existing range of hand-held infrared thermometers, many of which are available from stock with UKAS calibration. TMS’s calibration laboratory can UKAS calibrate infrared pyrometers between –30°C and 1500°C.